Supplied with both chain suspension and a semi-flush ceiling mount, with five graceful curved arms and upward facing satin opal glass shades. Shown here as a pendant, please see the three-light below for the semi-flush option. 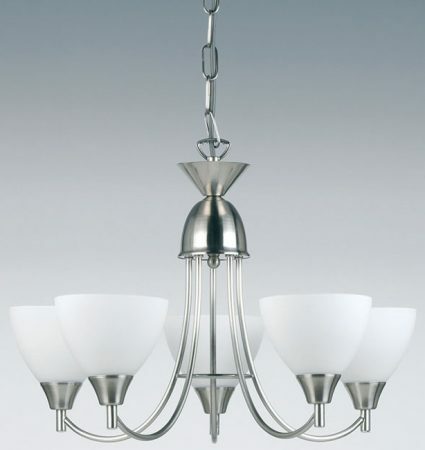 This ceiling light can be mounted as a pendant using the chain or semi-flush for rooms with a lower ceiling.